Confirmation is the last of the Sacraments of Christian Initiation. It “confirms” our baptism, makes us more complete in the image of Jesus, and fills us with the Holy Spirit. In the Sacrament of Confirmation, we are given gifts, and grace, to bear witness to Christ in the world, and also to build up the Church (the Body of Christ) in our world. Junior high school-aged youth work with our Faith Formation Catechists to prepare for this Sacrament. 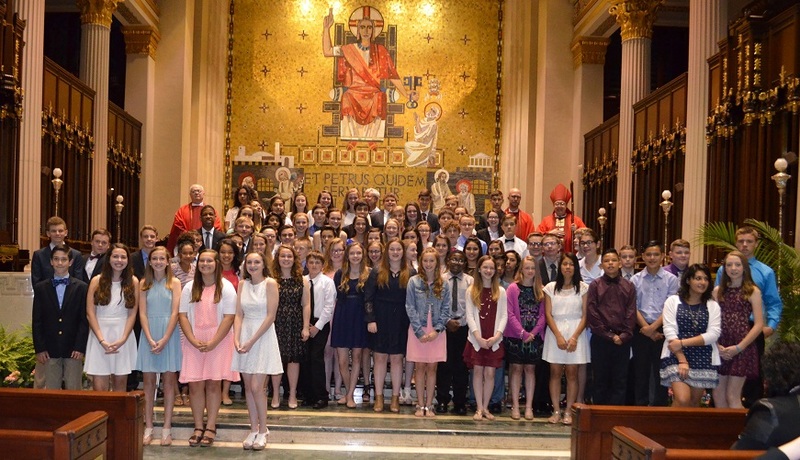 Confirmation is usually celebrated at the Cathedral of St. Peter in Chains, as a Pastoral Area Event (St. John Neumann, St. John the Baptist and Corpus Christi parishes). Adults prepare for this Sacrament through the RCIA process.